Peace Talks can refer you to several local therapists who have been recommended to us by clients, who we’ve studied with, or who we know professionally. Also, you may want to look on the California Association of Marriage and Family Therapists’ referral website. The Family and Marriage Counseling Directory will also provide you with referrals for marriage and family counseling therapists in your local area. Divorce support groups have been growing in popularity. They are often offered at your local church or community center. One of the oldest divorce support groups in the Los Angeles area is Divorce Dialogue. Divorce Dialogue is a support group for men and women who are separated, divorced, or considering either. The Early Childhood Parenting Center located in Los Angeles runs six different types of parenting groups, with the goal of promoting parenting skills and increasing the joys of parenting. If you don’t live in the Los Angeles area, go to Parents Connect, which provides various resources for parents and children in specific areas. www.breakthroughparenting.com – The Breakthrough Parenting program equips parents with the tools to effectively communicate and create healthy relationships with their children. www.uptoparents.org – This organization has created an online interactive game for parents to take a timeout from their conflict to consider 100 Commitments they could make to their children in periods of conflict and stress. 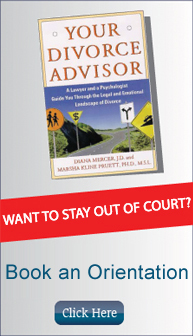 Children have critical needs during times of high stress, such as a divorce. Parents can effectively meet those needs when they arm themselves with the knowledge and tools necessary to protect their children. On this site, the “life jackets” section has great articles for parents with children.